In 1951 the Festival of Britain marks a new golden age of hope and prosperity for the country. Things are certainly looking up for the criminal elite who run the East End. For Jack, a draft-dodger with aspirations to be a champion boxer, there's easy money to be made for providing a bit of muscle. Meanwhile his sister Kath must keep secret the fact that she killed their father to protect her son, Brian, from the abuse she experienced as a child. Brian is so traumatised by witnessing this event that the complex union of violence and sexuality will shape his character for life. As the years go by and disillusion sets in, successive Labour and Tory governments aren't able to stop the rot. Younger, nastier criminals like the Kray twins and the Richardson brothers begin to carve out their own criminal empires and crush all resistance. Brutalised and embittered by years of failure and imprisonment, Jack decides to make a stand. The stage is set for one big war. 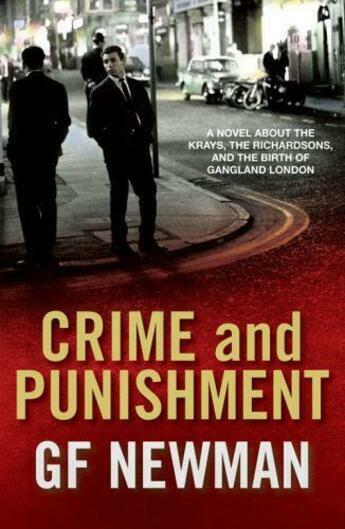 Crime and Punishment is the first volume in a two-part epic, and follows the characters' lives up until the accession of Thatcher. The second volume will trace the dramatic changes in criminal society that reflected the wider social upheaval of the times, right up until the present day.